Shaklee Independent Distributors are proud to announce a strategic association with this Healthy Child Healthy Person Company and Healthy Child Healthy World. Shakl** has partnered with Healthy Child Healthy World to help raise awareness of the health issues we all face and to provide education about the simple choices everyone can make to create a cleaner, greener, and safer home and planet. Healthy Child Healthy World is a national, non-profit 501 (c)(3) organization dedicated to protecting the health and well-being of children from harmful environmental exposures. A DVD entitled Creating Healthy Environments for Children, which features actress and mother Amy Brenneman along with leading pediatricians, Dr. Philip Landrigan and Dr. Alan Greene, can help us share information with parents, teachers, administrators and child care professionals to help raise awareness and donations for Healthy Child Healthy World. 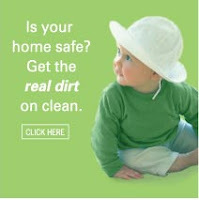 The DVD features an introduction by Roger Barnett, outlines the 5 Easy Steps to a Healthier Home and features Get Clean-er products as non-toxic solutions for cleaning safely. If you are interested in a DVD, please let me know! We can share it with anyone who cares about the health and well-being of children and the planet. The entire $5.00 price is a donation to the Healthy Child organization and Shaklee Independent Distributors receive a tax-deduction thank you letter from Healthy Child. I will be ordering some of these to share. People are very impressed with the Green Home Video -Use Access Code 15735616 for video on the left.